In ancient Athens the philosopher Plato and his pupil Aristotle considered the question of how human beings should act. Both started by reflecting on the meaning of "goodness". For Plato an object or action is good if it reflects something of the "form of the good", a metaphysical essence which we somehow know through reason though we cannot experience it through our physical senses. We don’t encounter the number "2" when walking down the high street but understand what "2" is and can see manifestations of the concept all around us, when we see a pair of swans in the park or a couple walking on the beach. Think about yellowness. How could you describe it without giving specific examples of yellow things? We cannot experience pure yellow in the physical world but we know what yellowness is and can judge things we experience to be more or less yellow, to reflect the idea or form of yellow to a greater or lesser extent. Plato thought this also applied to goodness. We cannot experience pure goodness in this world but we understand the idea or form of goodness through our reason and can see when goodness is reflected in things and people around us. Sometimes it is difficult to explain why a thing, a person or an action is good. 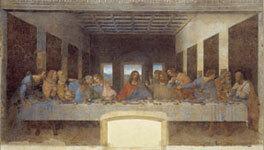 A painting might be good despite being inaccurate, even incomplete – think about Leonardo da Vinci’s Last Supper. Nobody thinks that Jesus and his disciples really looked or dressed as da Vinci has them in the painting, nor does it reflect the seating arrangements recorded in any gospel or book of Roman customs, nor is it technically well finished, having been the subject of constant conservation efforts since it was painted using an experimental paint. Yet The Last Supper is still one of the most famous paintings in the world and da Vinci one of the best known artists; The Last Supper has been credited with inspiring many people down the ages, most recently Mel Gibson and author Dan Brown. A person might be good even though they are not physically perfect and might even do things that are generally disapproved of – think about Dietrich Bonhoeffer, a plump, balding and bespectacled priest who was involved in a plot to assassinate Hitler. An action might be good even if it is not strictly rational, legal or likely to produce the most happiness. Think about a pilot landing his helicopter in a minefield to save an injured soldier. It doesn’t make sense but somehow we know that the pilot does something right in making the attempt and we rejoice when it pays off and lives are saved. So, for Plato, ideals like goodness are metaphysical – they are above and beyond experience and are only reflected in the world we live in. Reason can aspire to understand what goodness is, but it may always elude our grasp and certainly will be impossible to explain definitively. Unsurprisingly, while Plato’s philosophy has always been appealing, it has not been the starting point for many attempts at normative or applied ethics. Plato argued that human beings have innate ideas which are confirmed through experience, i.e our understanding is not formed by experience but exists independently of it. Aristotle did not accept this. For Aristotle metaphysical discussion can only be speculation. The root of our understanding is in experience, what we sense through taste, smell, feel, hearing and sight. The only way that we can understand things is by observing them, by collecting and inducing from data. Whereas Plato thought of the "forms" existing in another world, metaphysically, Aristotle saw them as concepts, categories of understanding in this world. Everything is defined by its formal cause, this is what makes a cat a cat and not a stick of rhubarb and is a mark of order in the world, but formal causes have no independent existence, they are made real by things fulfilling their form to a greater or lesser extent. Goodness comes from something fulfilling its form, its nature. A good cat is sleek, furry, purry and is fond of fish – a cat that is missing some of its cattiness is deficient, naturally evil. 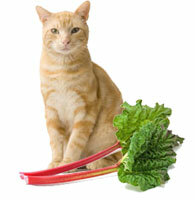 A good stick of rhubarb is red, straight and sharp-tasting. Limp tasteless rhubarb is bad rhubarb. This also applies to human beings; a person who fulfils human nature is good and one who falls short is evil, either naturally or (if by choice) morally. The question, of course, is what is human nature? Plato defined humanity in terms of reason. As human beings we have instincts and emotions but above all the potential to think, to control our feelings and animal urges. Reason gives us the freedom to choose how to behave, to be selfish or altruistic, to act on principle or thoughtlessly. Aristotle expanded upon this definition, drawing on his experience of life and society. For Aristotle human beings and human societies flourish when people live peacefully, work and prosper, learn and develop wisdom, reproduce and pass on wisdom to the next generation. A fulfilled and good person is living, healthy, peaceable, prosperous, engaged in philosophy (the love of wisdom) in that they are curious about the world they live in and seek understanding of it, and are engaged in passing on understanding to the next generation. Evil originates in naturally or morally failing to fulfil part or all of human nature so defined. This is the basis for natural law. Aristotle and all those Philosophers who have followed in his tradition see ethics as the business of defining human nature and from that definition deriving laws, principles of behaviour which either support or prevent human flourishing. Clearly not all philosophers agree on the definition of human nature, nor on the laws that depend on it, but the pattern of reasoning is the same for all naturalistic systems of ethics.